By the summer of 1704 the French King Louis XIV’s vast armies dominated mainland Europe. In his endeavours to create a French controlled super-state, the Sun King had defeated every alliance that had been thrown against him. Louis was now set to extend his frontier northwards to the Rhine, and to the south by installing a French prince on the throne of Spain. The French also had plans to send an army to unite with Bavarian forces and then march down the Danube to capture Vienna. In an attempt to pre-empt this, the British under the command of John Churchill, Duke of Marlborough, and the Austrians under Prince Eugene of Savoy, decided upon a joint attack on Bavaria. In one of the greatest military manoeuvres of history, Marlborough marched his army 200 miles from the Netherlands to Bavaria in near secrecy. The Austro-British-Danish army had marched overnight in order to gain the element of surprise and arrived at the north bank of the river Danube. At a small village called Blenheim, near Höchstädt in Bavaria they faced the Franco-Bavarian lines under the command of the French leader, Marshall Tallard. It was at Blenheim just after noon that the rival armies clashed on 13th August 1704. The French had fortified the village and their line extended almost 4 miles along a ridge. Prince Eugene attacked the Bavarians on the French left flank, whilst Marlborough attacked Blenheim directly, driving his cavalry and infantry straight through the centre of the French line and effectively splitting the enemy forces. It was not until darkness fell that Marlborough’s highly disciplined troops handed Louis XIV and France such a defeat as to rival that of Agincourt and Crécy. The cost of the battle was staggering, with more than 9,000 men from Marlborough’s wing either killed or wounded and a further 5,000 from Eugene’s smaller wing. The loss to the French and Bavarian army was even worse with some 20,000 soldiers killed or wounded. 14,000 prisoners and 7,000 horses, along with scores of senior officers, 129 infantry colours, 110 cavalry standards and over 100 guns and mortars fell into British hands as did Marshall Tallard. Tallard was taken back to England and held prisoner where, disappointed by the food on offer in Nottingham, he introduced his gaolers to French bread and celery. For the first time in two generations the French had suffered defeat and the results were immediate, with Bavaria conquered and Vienna saved. It would be Blenheim that would establish Britain as a world power, create the enduring reputation of the British redcoat and would shatter the Sun King’s vision of a French controlled Europe. In reward for his services in defending Holland and Austria from invasion by the French, a grateful Queen Anne granted to Marlborough the Royal Manor of Woodstock near Oxford, and signified that she would build him, at her own expense, a great house to be called Blenheim. “Under the auspices of a munificent sovereign this house was built for John Duke of Marlborough, and his Duchess Sarah, by Sir J Vanbrugh between the years 1705 and 1722. While the Duke remained busy giving his queen and country victory after victory overseas, his continued absence saw him fall from the queen’s favour. As a result, the money which had been promised for building Blenheim Palace failed to arrive, leaving the Duke owing £45,000 to masons, carvers, etc, including Vanbrugh the architect. In the summer of 1712 all work on Blenheim Palace ceased. Following the death of Queen Anne in 1714, the Duke and Duchess of Marlborough negotiated with the unpaid builders and the Palace was eventually completed at their own expense. It was at Blenheim Palace on the 30th November 1874 at 1.30am that Winston Churchill the ‘Greatest Briton of all time’ was born. Typical of the impatience that he was to demonstrate in later life, he arrived several weeks early. It was also in the gardens of Blenheim at the Temple of Diana that Winston Churchill proposed to Miss Clementine Hozier during the summer of 1908. Sir Winston Churchill’s love of Blenheim remained to his dying day. When he passed away in 1965, he chose to be buried beside his parents Lord and Lady Randolph Churchill, in the nearby churchyard at Bladon. And when Lady Clementine Churchill died in 1977, her remains were laid to rest beside those of her husband. 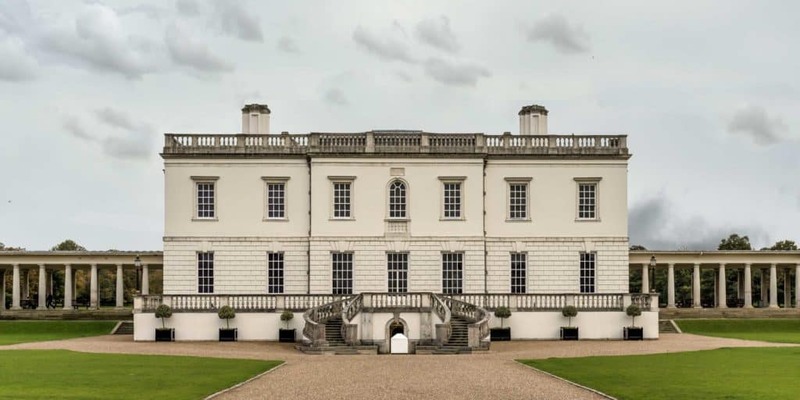 The long lost Palace of Placentia in Greenwich, South East London was once the favourite royal residence of the Tudors. It was also the location where Sir Walter Raleigh placed his coat over the puddle to stop Queen Elizabeth’s feet from getting wet! The romantic ruins of this 15th century manor house stand on the banks of the River Windrush in Oxfordshire. An oasis of peace in the midst of the Cotswolds, hidden away from the tourist trail. Prime Ministers of Britain since 1721 including Margaret Thatcher, Tony Blair and Robert Walpole.